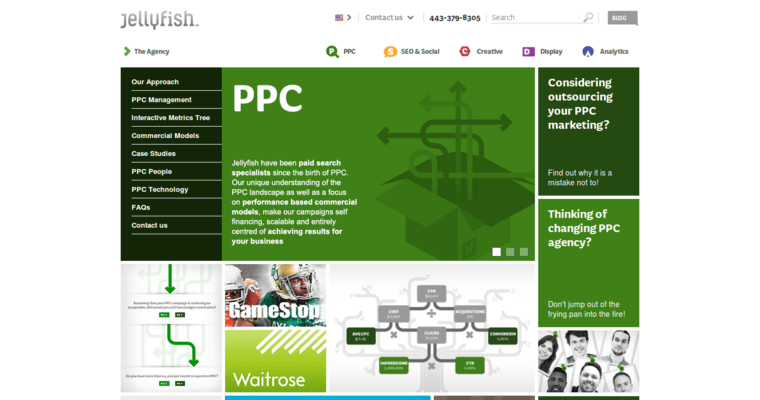 Jellyfish is an adwords pay per click management firm that is positioned in Maryland. 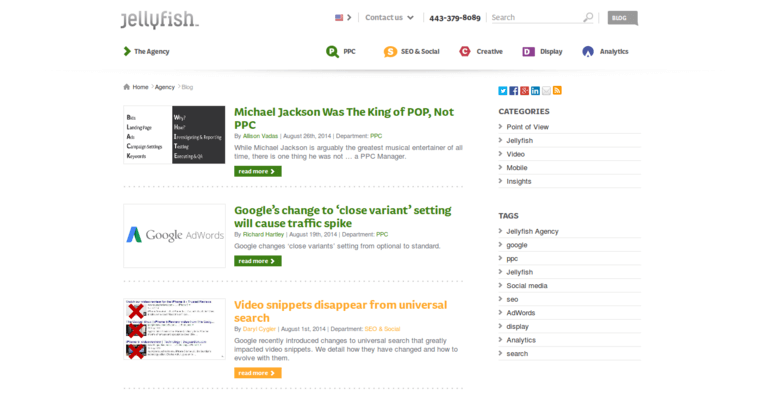 Jellyfish is acknowledged as one of the best adwords pay per click management firms in the State of Maryland. Areas of strength include helping with pay per click strategy, reporting, optimization & testing, creation & implementation, pay per click housekeeping, production of launch timelines, brainstorming seed keywords, establishing use and commercial strategy, competitor reporting, determining campaign settings, keyword management, producing seasonality maps, auditing existing channel marketing activities, creating structure and naming convention, auditing accounts, tracking, advertisement testing, landing page testing, client demographics, site analytics, and client expectations. 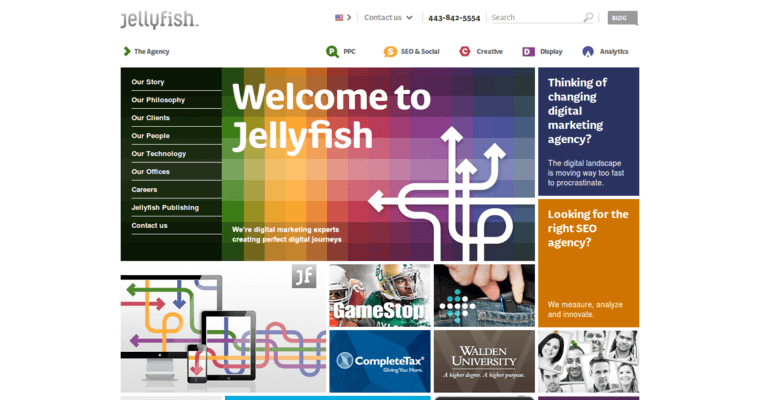 Companies connected with Jellyfish include Hari Ghotra, Nestle, Callaway, Walden University, ForRent.com, Carfax, Protection Security Solutions, Fit Bit, Skype, University of Miami, Royal Caribbean, Pfizer, Yankee Candle, BMW, Fleetmatics, Dow Jones, Sports Direct, the Good Spa Guide, Mazda, Laureate International Universities, the National Hispanic University, Sotheby's, Money Week, and Reader's Digest.